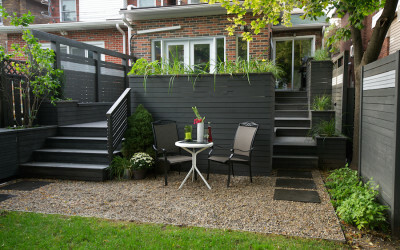 How did this family of four double their living space? 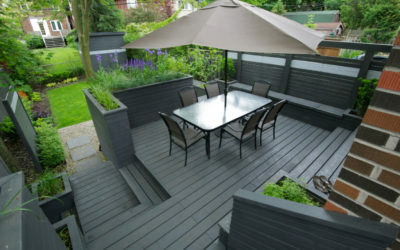 By hiring us to build them a backyard where they now enjoy spending time outdoors. 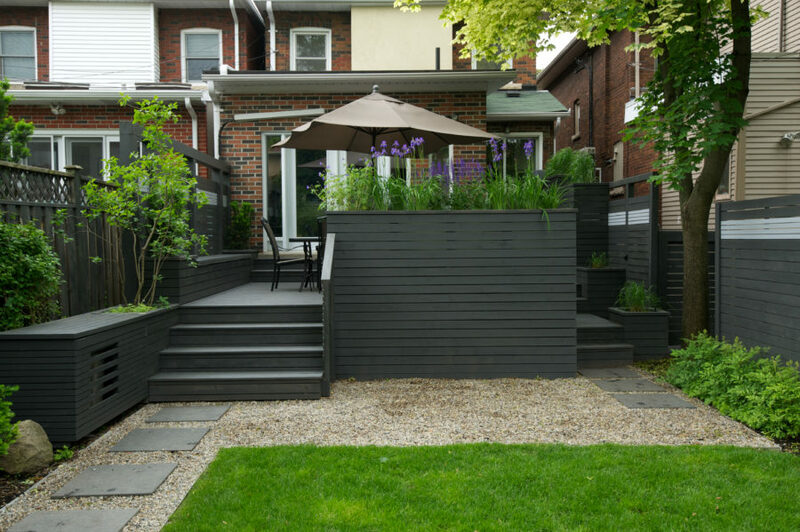 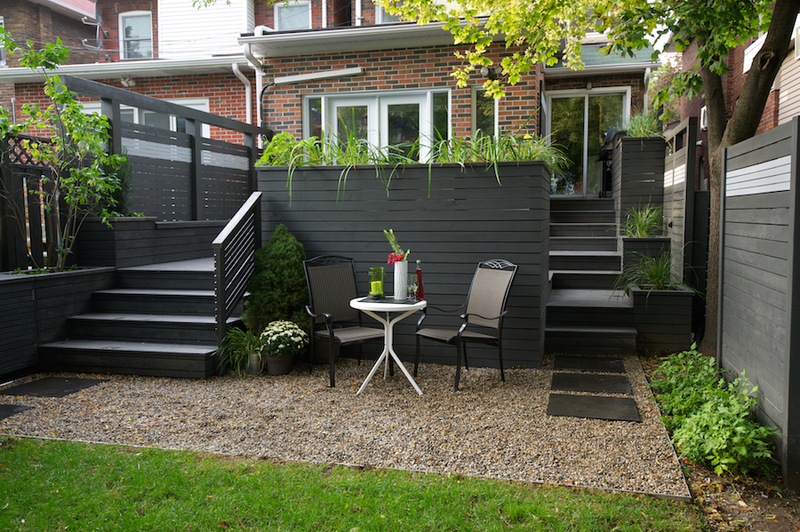 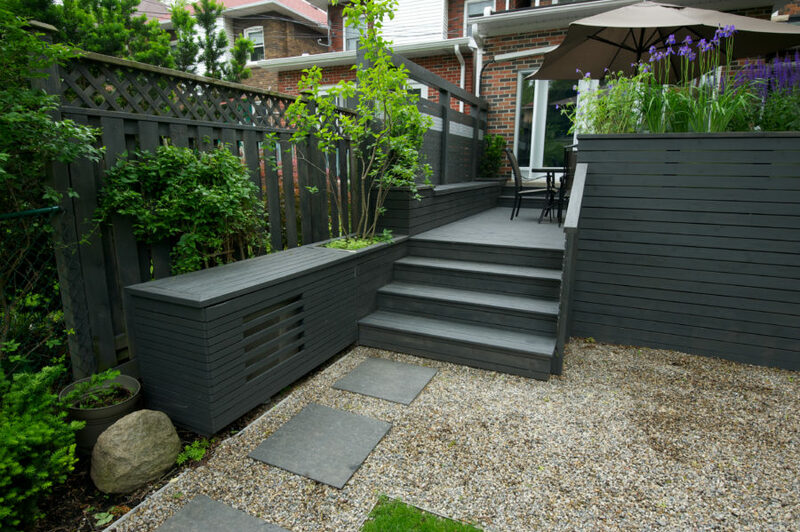 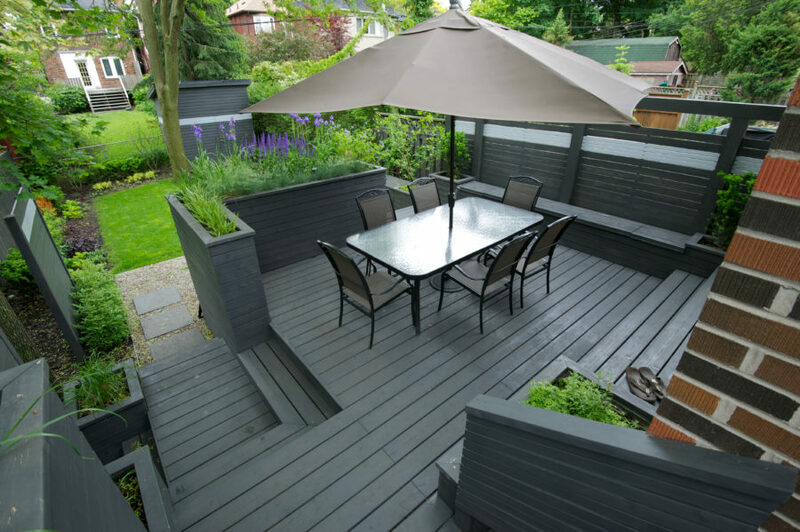 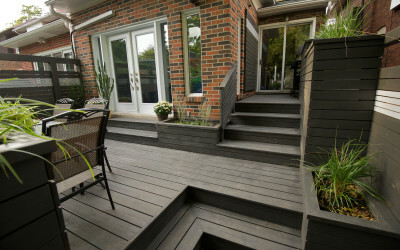 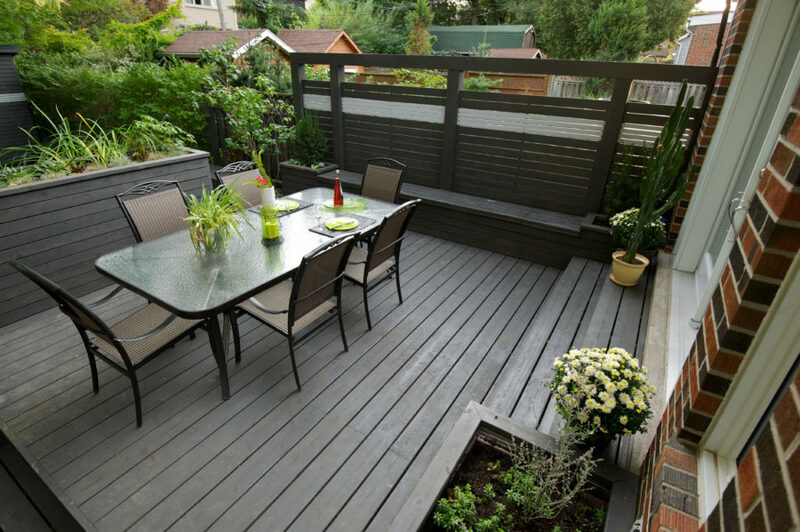 We constructed a deck with built-in seating, storage and planters that provide an herb garden and privacy. 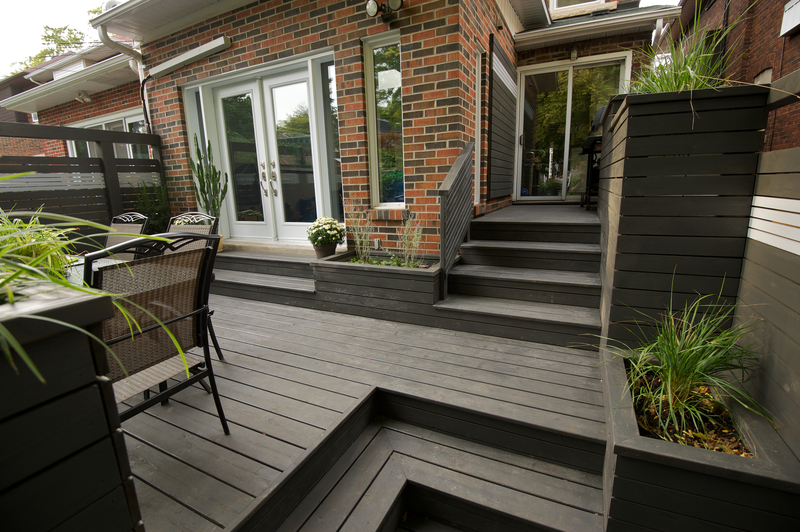 For storage, we added a custom shed and a water-resistant area under the deck. 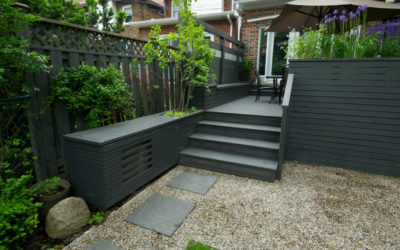 A custom vented box stylishly conceals the air conditioner.